mangoes are here, well almost here. 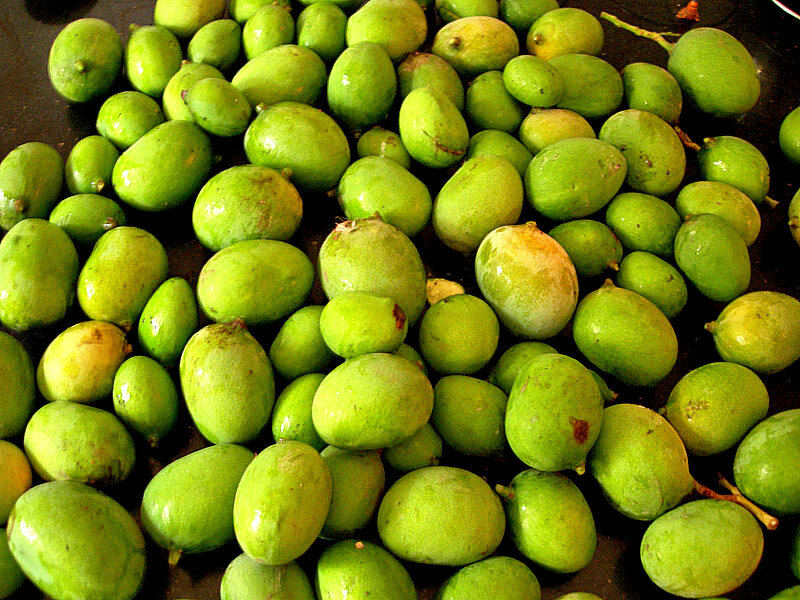 had the seasons first aam-ras today, though it was a market-one, not the home made one. the home made ras tastes infinitely better. this is a photo from last summer, kaccha kairis grown by nana. we couldn't wait till they would ripen as passer bys would pluck them off the tree with a stone / ball. but the kairis made for yummy pickles! aam-ras = mango pulp; relished along with puris. puris are, well, a sort of fried bread? I have on ny yard two mango's tree. Love mangos! In fact I prefer your photos without the "mindless mumbai" tagging, Kunal.